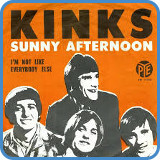 ‘Sunny Afternoon’ is a single from British invasion pop/rock 60s band The Kinks. Alongside The Beatles, The Rolling Stones and The Who, The Kinks shaped popular music as we know it. 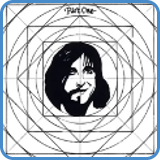 In ‘Sunny Afternoon’, we get the classic minor verse, major chorus again. However, this time, it’s from Am to A major, rather than Am and C major (parallel keys) which is what most hits use (see ‘Roxanne’ and ‘Dreadlock Holiday’). 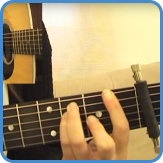 Using a capo on fret five, we effectively play the song in the key of Dm but think in Am. In the video lessons, you’ll see how this is done from beginning to end. ‘Sunny Afternoon’ uses a bass line to create a looped pattern for the intro/chorus tag, these are the chords. The verse uses more conventional chords at first before the descending bass line idea is used over the E chord again, like this. 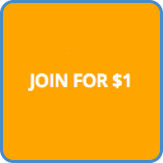 The chorus moves to the key of A and has a bVII chord in it (G). 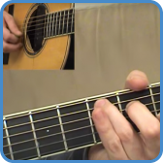 The C (bIIIx) and E7 chords act as a turnaround to get back to A. In the intermediate guitar course, we get to the bottom of all that ‘Sunny Afternoon’ has to offer. First, we look at the chord progression and work out what every movement means and what they do for the other parts. Following this, we look at how to notate a shuffled rhythm, as that is what is used in this song. 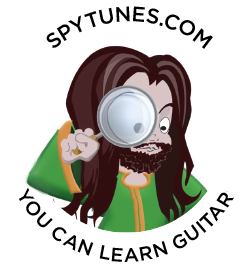 Finally, you get a complete TAB chart detailing exactly how the song is played in the video lesson.